This is the a red Round Rocker Switch. The 2 contacts become connected when you turn on the switch. 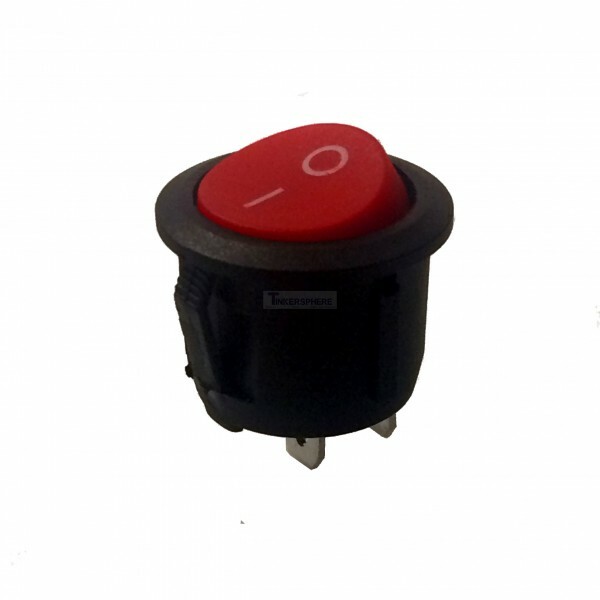 This SPST Rocker Switch with Mount Clips is the most basic ON/OFF switch with just 2 pins. Round shape makes it easy to mount in newly drilled holes. When you turn the switch on, the 2 pins get connected. Ideal for mounting in round drilled holes.